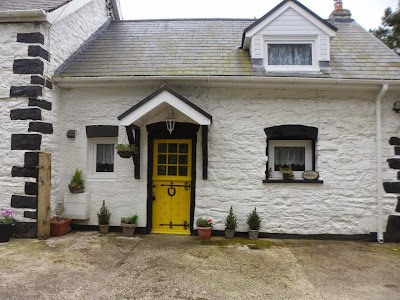 A friend of mine, Angela, who runs a small farm in Wales is renting out a beautiful holiday cottage and also puts up guests in her farmhouse. The picture above shows the cottage. The cottage and farm look gorgeous both inside and out and have lovely views of countryside over Cardigan Bay and Snowdonia. The cottage can be rented just for a holiday, but would also be great for someone wanting to run an event. Angela said: "The house and cottage would make a good venue for teaching. Possibly with the cottage as the tutor accommodation and then up to six people in the house with additional camping outside. The large living room would make a good study room; also the kitchen/diner, which is equally large." There is also a barn that could be used for activities.